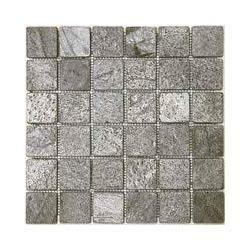 We are amongst the well-known names exporting and supplying creatively designed range of Mosaics. Our entire product range is sourced from authorized vendors in the industry and is designed with utmost perfection. 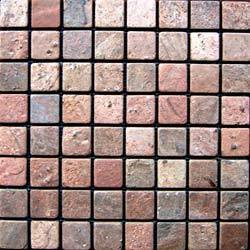 We are the supplier and exporter of wide range of Copper Mosaics. These tiles are available with us in multiple designs and finish following the requirements of clients. Our products undergo many quality test to make sure the final product is perfect. This copper antique finish bath tub contrasts beautifully with the mirror mosaic pieces that are intricately inlaid into the exterior. Well polished and made using quality stones, these tiles are used to enhance the décor of homes, offices, commercial establishments. 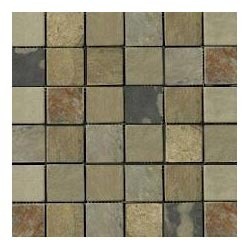 We are the supplier and manufacturer of wide range of Mint Fossil Mosaic. It is available in various shapes and sizes to meet the requirements of the clients. 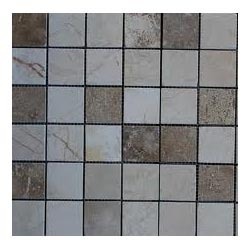 These tiles are extensively recommended by various numbers of clients owing to its uniqueness, elegance and designer appearance. These are available in various sizes, shapes as per client requirements. We are counted amongst the leading names in the industry, offering an extensive range of Mix Mosaic that is acclaimed among the clients for durable standards and smooth texture. 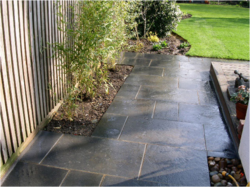 Our entire product range is designed with perfection and is offered in varied attractive designs. We deliver them in varied standard sizes and are quality assured in nature. Enriched with vast industrial experience, we offer wide range Silver Grey Mosaics that are designed using latest tools and advanced technologies. Our entire product range has smooth finishing and is durable in nature. We deliver the entire product range in well-defined time frame thereby rendering utmost client satisfaction.